Tax Deducted at Source under Goods and Service Tax. 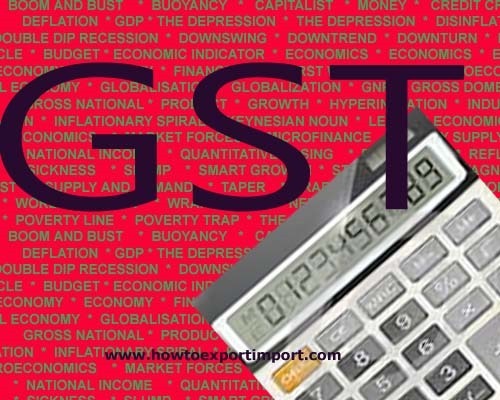 What is the rate of TDS under GST? How is TDS on GST accounted? The amount deducted as tax under this section shall be paid to the credit of the appropriate Government by the deductor within ten days after the end of the month in which such deduction is made, in the manner prescribed. What are the main contents of TDS Certificate of GST? As per GST Law, the deductor shall, in the manner prescribed, furnish to the deductee a certificate mentioning therein the contract value, rate of deduction, amount deducted, amount paid to the appropriate Government and such particulars as may be prescribed in this behalf. How is failure in issuing TDS certificate of GST treated? As per GST Act, if any deductor fails to furnish to the deductee the certificate, after deducting the tax at source, within five days of crediting the amount so deducted to the appropriate Government, the deductor shall be liable to pay, by way of a late fee, a sum of rupees one hundred per day from the day after the expiry of the five-day period until the failure is rectified: Provided that the amount of fee payable under this sub-section shall not exceed rupees five thousand. 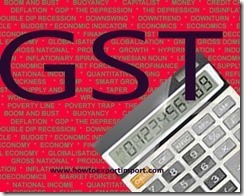 How can a deductee claim TDS on GST? The deductee shall claim credit, in his electronic cash ledger, of the tax deducted and reflected in the return of the deductor filed under sub-section (5) of section 27, in the manner prescribed. How is failure in crediting TDS on GST amount with appropriate government treated? If any deductor fails to pay to the credit of the appropriate Government the amount deducted as tax under sub-section (1), he shall be liable to pay interest in accordance with the provisions of section 36, in addition to the amount of tax deducted. How is determination of the amount in default of TDS payment on GST considered as per GST Law? As per GST Law, the determination of the amount in default under this section shall be made in the manner specified in section 51. How to treat excess or erroneous deduction of TDS on GST? As per GST Act, the refund to the deductor or the deductee, as the case may be, arising on account of excess or erroneous deduction shall be dealt with in accordance with the provisions of section 38: Provided that no refund to deductor shall be granted if the amount deducted has been credited to the electronic cash ledger of the deductee. SUBRATA GHOSH: On 03 November 2016 who are all to be covered under sub clause (d) of Section 37 we are a PSU unit - are we falling under clause d of section 37 the registration form of TDS contains a column specifically for PSU "07"
NIKITA AGRAWAL: On 03 October 2018 WHETHER TDS IS REQUIRED TO BE DEDUCTED IN CASE OF PRICE VARIATION OR COST ESCALATION. For eg If a bill was issued before 1st Oct 2018 and a price variation claim was made after 01.10.2018. SUNIL: On 17 December 2018 Every one analysed the same theoretical scenarios which were given the SOP. 1. What is the amount on which TDS is to be done if the invoice value is Rs 3 Lacs and the amount paid is Rs2 Lacs after retaining 1 Lac towards security deposit for one year? 2. And Liability posted in the books on 30th/31st of the month and the payment done on 1st of the following month what is the point of taxation? Whether TDS is to be done at the time of posting liability i.e. on last day of the month or at the time of payment i.e first day of the following month?